The Fund is suitable for? • Recommended holding period : not less than 3 years. • The Fund invests in equity stocks, fixed income instruments and/or bank deposit. The Fund's equity exposure may not exceed 55% of NAV. • The Fund may have foreign investment exposure not exceed 30% of NAV and may use derivatives to hedge against exchange rate risk at least 90% of foreign fixed income exposure. 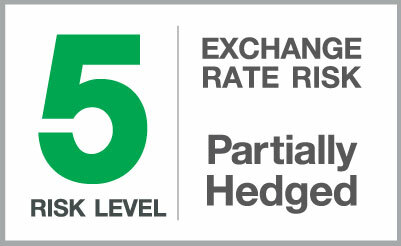 The foreign equity exposure will be unhedged against exchange rate risk. Every business day between 8.30 a.m. - 3.30 p.m.
As it is actually incurred. Benchmark is the composite index of 40% SET TRI/ 30% TBMA Government Bond Total Return Index (1 < TTM <= 3)/ 10% Total Return of ThaiBMA MTM Corporate Bond Index (1 < TTM <= 3) (A-up) /15% MSCI ACWI Net Total Return USD Index converted to Thai Baht on the calculation date/ 5% US Generic Government 12 Month Yield added average credit spread of 1-year Investment Grade Corporate (BBB), adjusted by cost of FX hedging.#* Prior to 1 Feb 2017, the Fund's benchmark was the composite index of 40% SET TRI/ 30% TBMA Government Bond Total Return Index (1 < TTM <= 3)/ 15% MSCI ACWI Net Total Return USD Index converted to Thai Baht on the calculation date/ 15% 12-month US dollar Interbank lending rate (SIBU12M Index) added average credit spread of 1-year Investment Grade Corporate (BBB), adjusted by cost of FX hedging. The previous and current benchmark are geometrically linked together.